Freezing Fun at Advanced Cryotherapy NYC! One of my favorite workouts - SLT! Fashion, health and beauty have always been important to me, and since resigning from my full time job to start this blog I am now lucky enough to have more time to myself to try new things and implement positive changes in my life. For me, self development has never been a destination, I believe in trusting your instincts and enjoying your journey; I will share mine with you throughout my blog. It is hard to break patterns of behavior but so rewarding when you do, and see the results – I am still working on the six pack though! The change of season brings beautiful foliage, many wardrobe additions, holiday travel plans and lots of fun events, however this can play havoc with your health and general well being. My skin starts to resemble a reptile, my jeans feel like they have shrunk two sizes and my calendar looks unmanageble, so I thought I would share some of my fall beauty tips to staying healthy and happy over the holiday period. 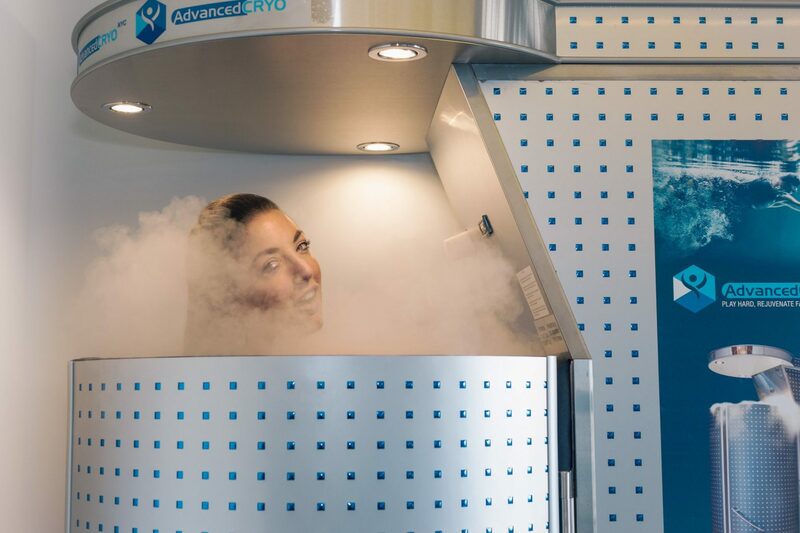 I have recently been having regular cryotherapy sessions at Advanced Cryo NYC which greatly assists with my recovery from regular intense workouts – in recent years I have ramped up my training as I have more time and motivation, and I absolutely love the recovery benefits and relief that cryotherapy gives me in between workouts, and an added bonus is that it makes me sleep like a baby! Make the time to get a massage! 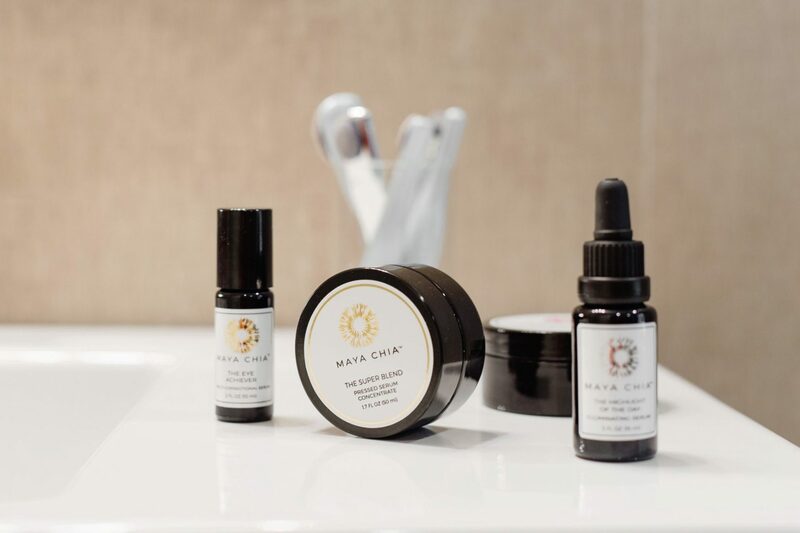 This pleasure should not only be reserved for vacations – I know I am better all round when massages are a regular part of my health and beauty routine. As we all know, good inner health shows – for me especially in my hair, skin and nails. Since my lifestyle change to being self-employed in recent years, I have noticed a vast improvement in these. I believe in regular manis / pedis all year round as well as frequent hair masks either in the salon or at home do not skip these beauty practices! One of the biggest changes or should I say additions to my lifestyle since moving to New York has been seeing a dermatologist on a regular basis. This was prompted by being diagnosed with basel cell carcinoma combined with the being intrigued by how amazing many female celebrities’ look at every age and what are some of the most common beauty rituals – thank you to everyone who has opened up about the importance of seeing a dermatologist habitually! If you really, really want to sweat then you should check out Barry’s Bootcamp – this intense cardio workout is a fun Sunday sweat session with friends, and I am excited to try it in London later this month! To relieve my sore body and busy mind I practise yoga regularly at Sky Ting – the studio space and teachers are equally beautiful, and every time I travel I cannot wait to come home to visit. Fall weather means fall foliage and what better way to experince it than a ‘mini circuit’ workout, brisk walk, run or ice skating in the magical Central Park – no excuses for not working out! 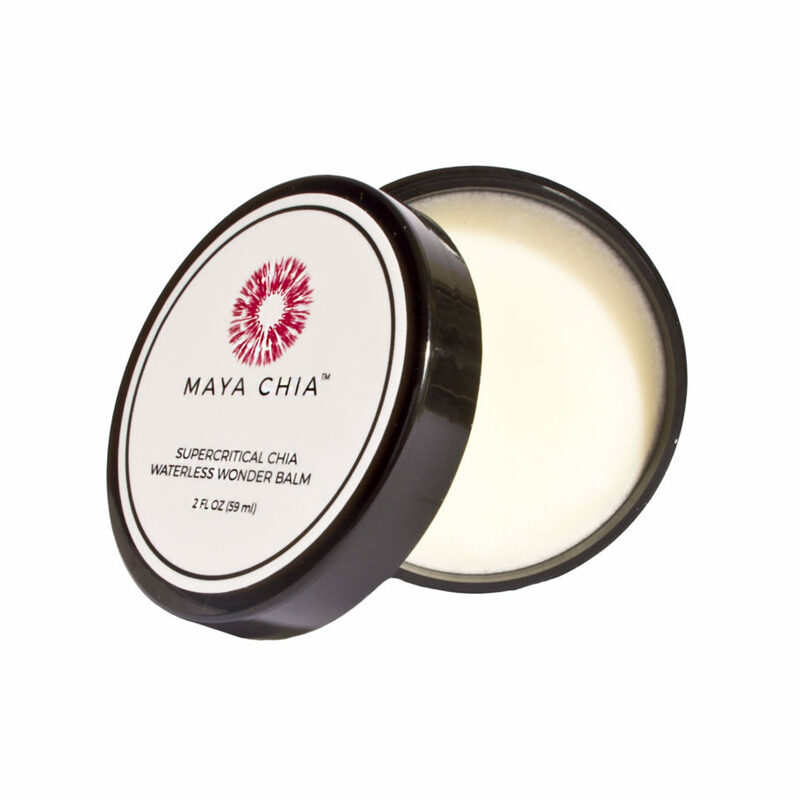 With skin care being a huge beauty focus for me in the fall, I cannot live without Maya Chia’s wonder blam which is great for stubborn dry skin areas, made from ‘superfood’ chia seeds it will leave those areas feeling smooth and nourished; I also love Maya Chia’s illuminating face serum which results in looking glowing and radiant even after travelling long distances with minimal effort, this is a travel essential. For the home, make sure you invest in some good hair, skin and nail vitamins like Biotin, and a humidifier like this one from Objecto to maintain your healthy glowing skin! 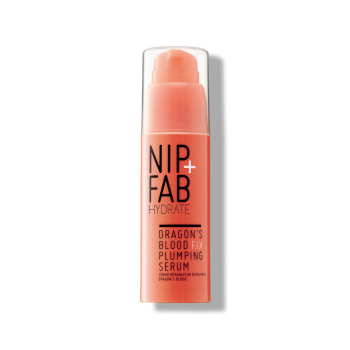 I have recently fallen in love with Nip & Fab – their Dragon’s Blood Hylaronic Shot is super hydrating, plumping and affordable – great for everyday under your moisturizer and really makes a difference, especially in cooler weather. 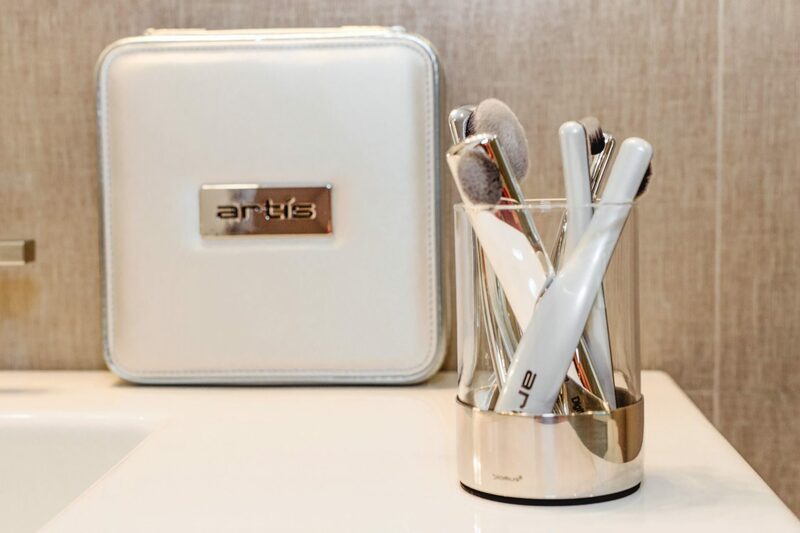 I often apply my Kiehl’s daily moisturizer combined with foundation or a CC cream using an Artis Brush – these brushes result in uniform application and superior blending of your products. 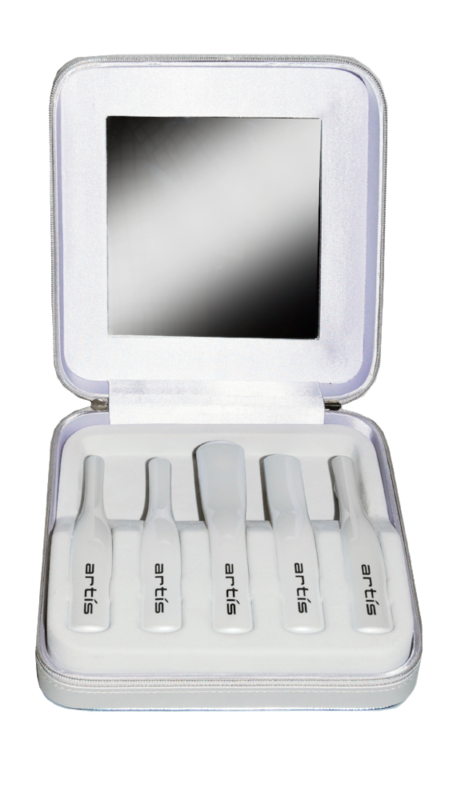 I am taking the Digit Collection in the handy travel case on my trips over the holidays and this also makes a great holiday gift. My skin care routine would never be complete without some serious eye love from La Mer – I actually use a lot of La Mer products that I was introduced to when I was a buyer at David Jones, Australia many years ago, and La Mer’s quality and richness still remains my go to.